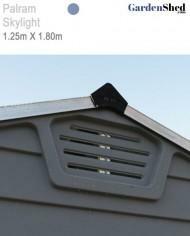 The Palram Skylight 6 x 5 plastic shed is UV resistant with the entire roof being a skylight. 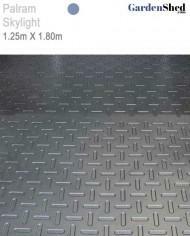 It is durable and weather-resistant and comes with a sealed anti-slip floor. There is also a vent for extra ventilation. 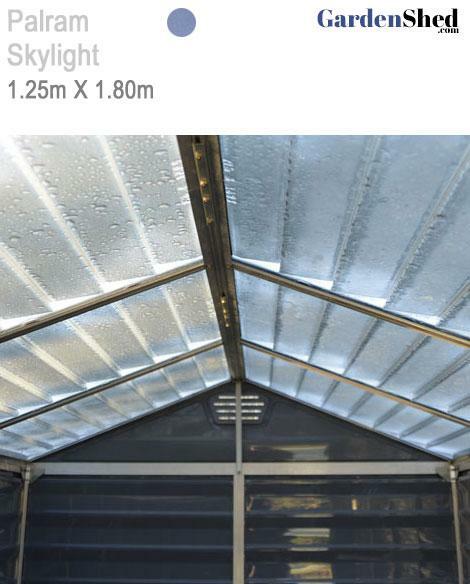 • Skylight Roof INCLUDED – Skylight roof panels provide natural light, while maintaining opaque external visibility for maximum privacy. 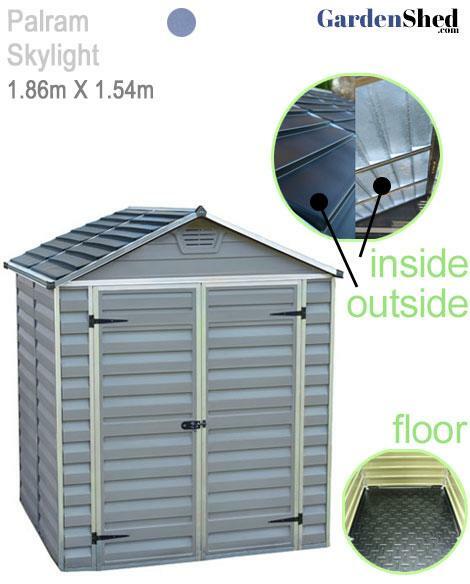 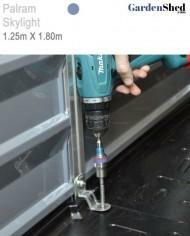 • Floor INCLUDED- Anti-slip floor allows safe use as well as keeps valuables dry and protected. 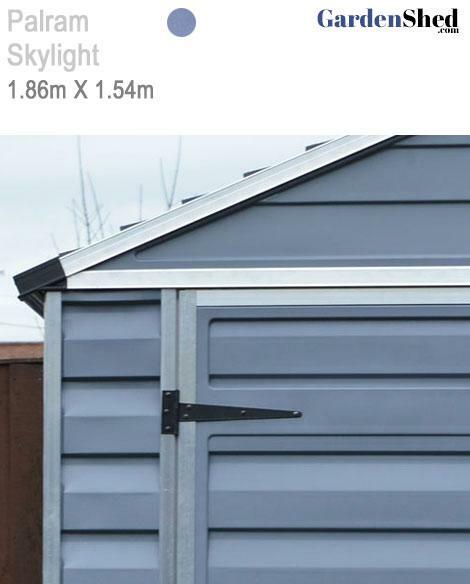 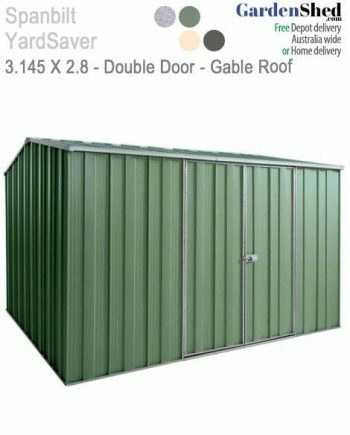 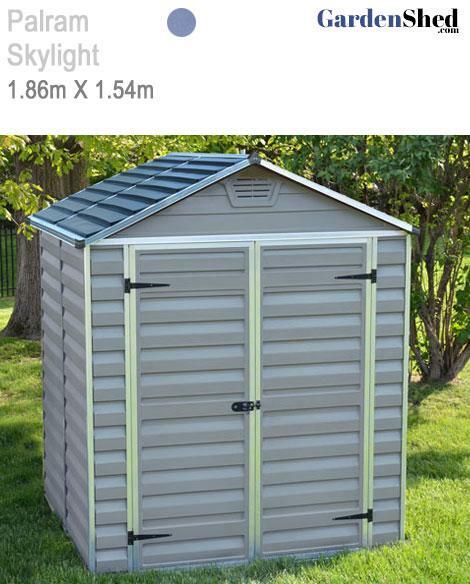 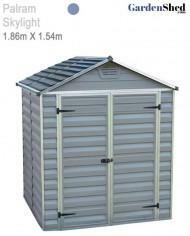 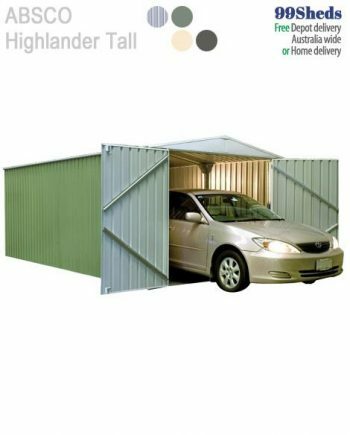 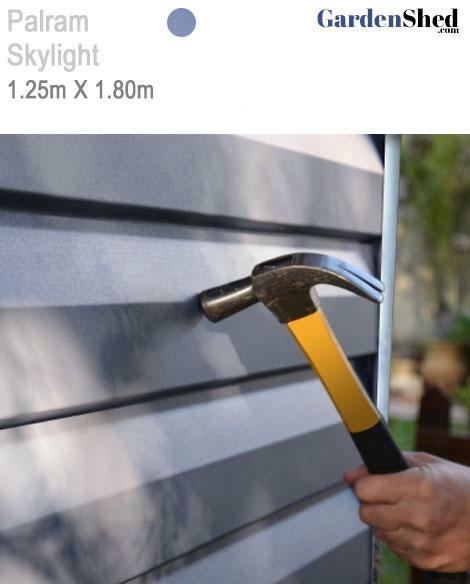 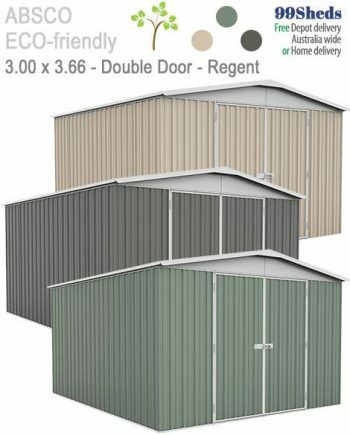 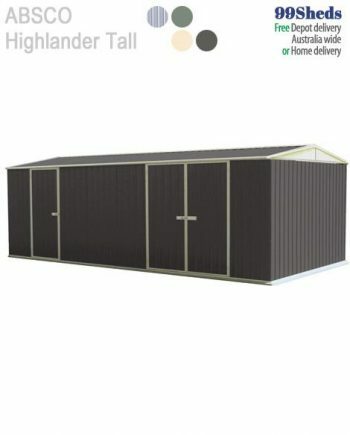 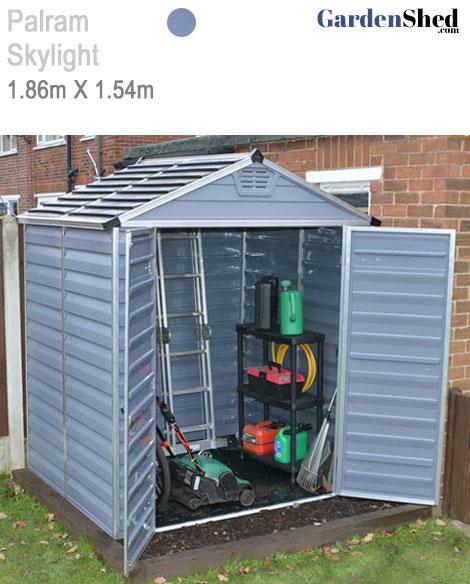 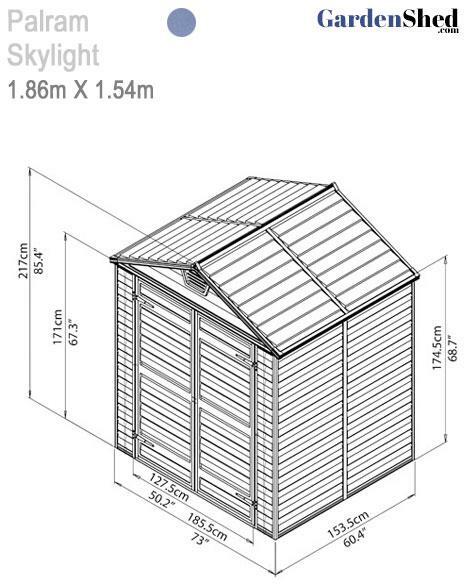 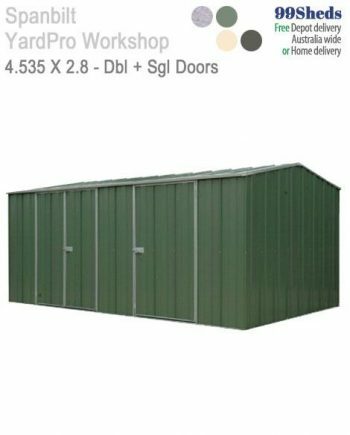 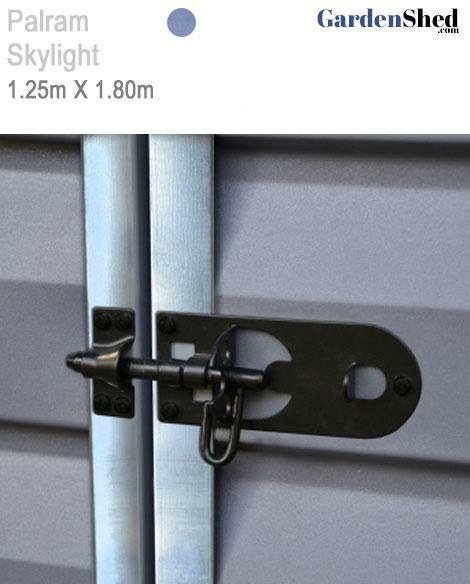 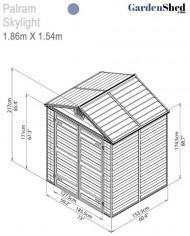 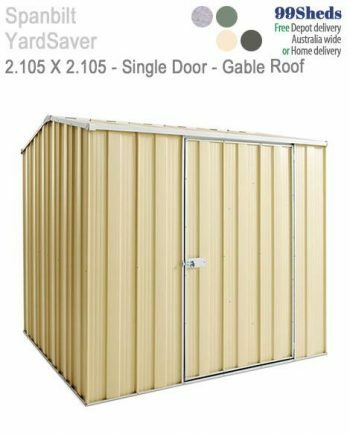 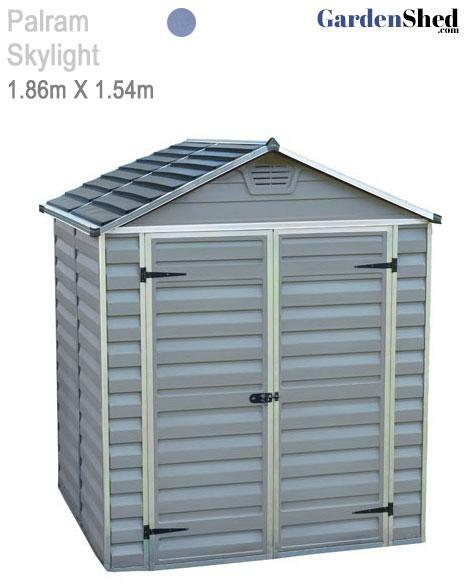 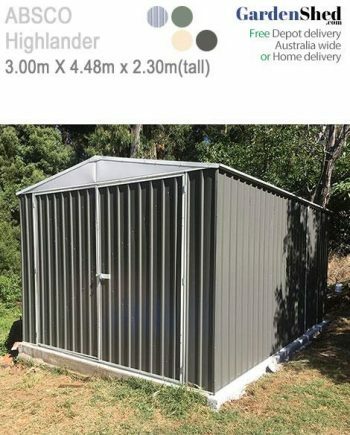 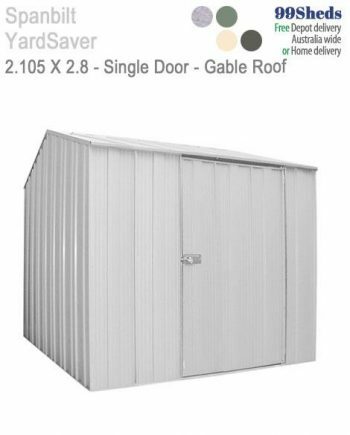 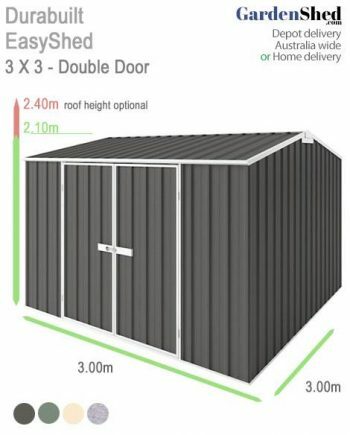 • Anchors INCLUDED: Secure the shed to the ground to make the most of your sturdy structure, increase its stability and improve its weather resistance. 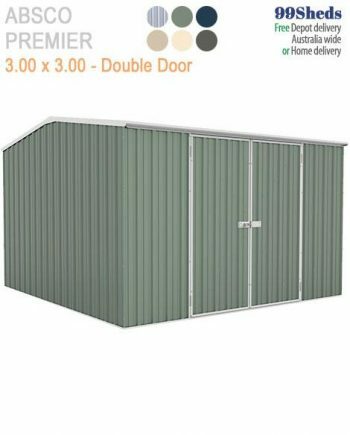 • Durable – Virtually unbreakable Polycarbonate, with an exceptionally high impact resistance and flexibility. 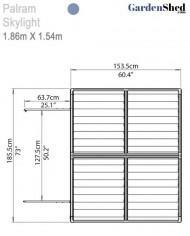 • Ventilation – Efficient Ventilation – Front and back vents allow natural air circulation. 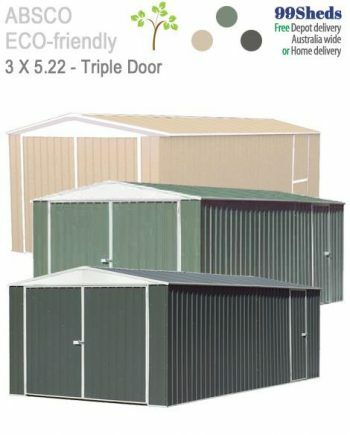 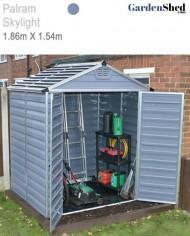 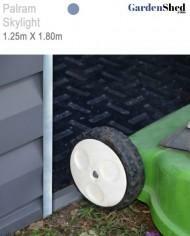 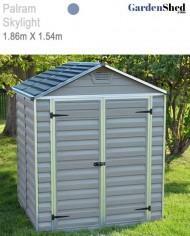 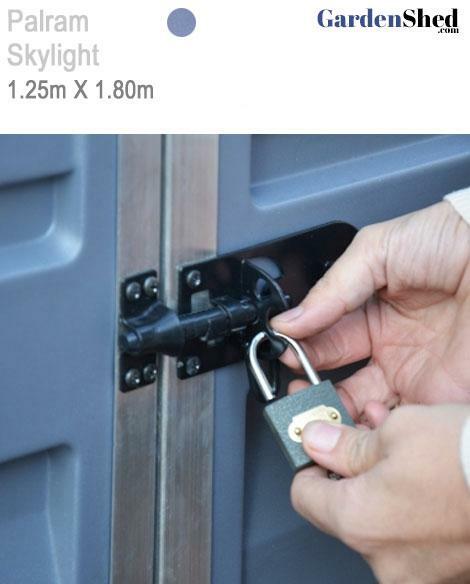 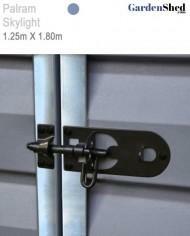 • Maintenance free – Maintain their integrity and withstand extreme weather conditions for many years of use. Provide complete UV blockage, and are 100% UV protected; they do not discolor, fracture or shatter. 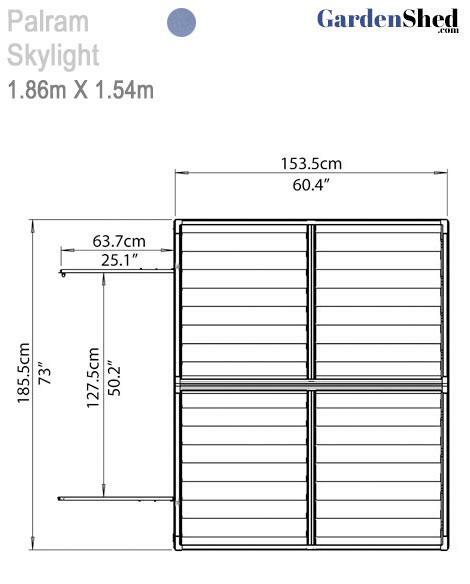 • Aluminum Frame – Provides an extra-rigid structure for high durability and strength.